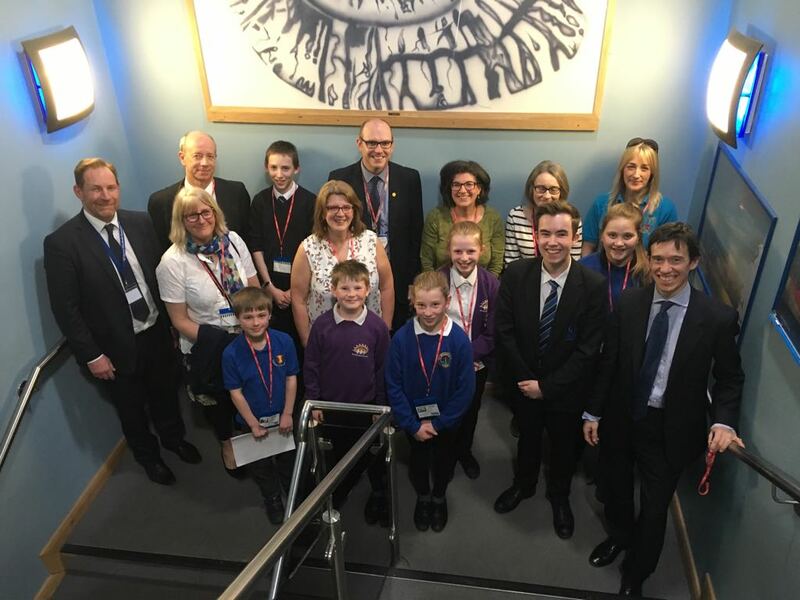 Rory Stewart MP and Jacob Reid MYP chaired a mental health roundtable discussion for local Penrith and The Border schools today. Staff and students from twelve primary and secondary schools from the constituency assembled to share their views on the best ways of tackling mental health issues for young people. Both groups contributed to a productive discussion with the children, who were aged 9-18, offering particularly insightful suggestions on how mental health can be destigmatised and its sufferers cared for. Rory and Jacob have previously collaborated on mental health issues, most notably teaming up for “Time To Talk Day” on 1 February 2018. This initiative, which seeks to encourage conversations about mental health, led directly to the organisation of the recent roundtable discussion. The timing was particularly appropriate as the conversation on mental health continues to broaden, with the Health Secretary’s recent letter to social media companies, outlining their responsibilities to protect children’s mental health. Rory said: “This has been an amazing afternoon and I was proud to participate. Mental health is one of the most important issues of our time and no one is immune from the risk of developing a mental health problem. It is estimated that one in five young people suffer from poor mental health and, for the past three years, young people have consistently identified mental health as their foremost concern. Having these important conversations can make a big difference to many people. The accounts that I heard and the suggestions that were made, were all invaluable and I would like to pay tribute to Jacob for the fantastic work he has done in organising this event and in raising awareness more generally”.